Well after rain threaten to put a damper on things the sun came out early Saturday morning on Apr.29th, for the 2017 Symposium of Maritime Amateur Radio Technicians (S.M.A.R.T.) hosted by the WestCumb ARC in Amherst NS. This year's event was held at the Dr.Carson and Marion Murray Community Centre in Springhill Nova Scotia. Amateurs started to arrive at 7am and began setting up their displays in the large foyer. Treva Hebb & Jo-Ann Reynolds looked after the Registration table and prepared name tags. There were tables set up for tickets to buy prizes including digital radios and 50/50 tickets thanks to Dana Rushton VE1VOX, Don Roland VE1AOE and Jim Hannon VE1AFH. Thanks to Belair Technologic, N3FJP-Scot Davis, Durham Radio, Radioworld and RAC for the prizes. Dave Goodwin VE9CB Atlantic Director for the Radio Amateurs of Canada and Len Morgan VE9MY Manager of the RAC National Incoming QSL Bureau manned the RAC table. Dave also gave a presentation later in the day on behalf of RAC. John Scott VE1JS had a table and was available to check DXCC, WAS, VUCC and WAC cards, if required. He also did identity checks for those wishing to join LoTW. Ron MacKay VE1AIC from PEI was there again this year displaying and operating many digital modes. His hotspots were running Fusion on UHF, DMR on VHF, and D-Star on another UHF channel all at the same time. Brad Ross VE1ZX also had a table set up to demonstrate his Fusion repeater VE1BFB. Bernie Cormier VE9BGC had a table showing off the upper part of his vertical with radials. It is design for the 20m/15m band. All together it is 32 feet tall. Coffee from Tim Horton's, tea, muffins, cinnamon rolls and cookies greeted the amateurs when the doors opened at 8am. There were 90 amateurs who registered online before the event and 85 attended. We also had two walk-ins for a total of 87 hams. Classes began at 9am in two separate rooms and ran smoothly throughout the day thanks to Yvon Hachey VE1VON who kept the presenters to their allotted time and prepared the rooms for each class. Classes were shutdown during lunch hour between 12 noon and 1pm for the very popular WestCumb ARC Barbecue. Kevin Burke VE1KEV President of the WARC, Mike Masters VE1XDT Vice-President and Robert Mannette VE1RMJ worked the barbecues and did a great job throughout the hour. Treva Hebb and Jo-Ann Reynolds changed hats and gave out the burgers, hot dogs and soft drinks to the nearly 100 amateurs, volunteers and maintenance workers who helped out during the day. During the break many amateurs took the opportunity to explore the latest Nova Scotia Public Safety & Field Communications vehicle which was brought up to the event thanks to Al Cyples VE1CYP. Also at this time the new "Out of Trunk" flea market was active with many amateurs making deals buying & selling. Before heading back in for afternoon classes all amateurs surrounded the PSFC vehicle and a group picture was taken. Also Mike Johnson VE1MWJ Cumberland REMO Manager showed off the county's drone and took pictures of the group from overhead. At 1pm classes began again and continued till after 5pm when the final classes from CANWARN and Radio Amateurs of Canada were presented. Thanks to Bob Robichaud VE1MBR from the Atlantic Storm and Prediction Centre in Dartmouth for presenting the CANWARN course. Other presenters included Jean-Paul Leblanc VE9BK, Bernie Cormier VE9BGC, Steve Frost VE9SF, Brent Taylor VY2HF, Sean Bridge VE1XOP, Al Penney VO1NO, Jerry Arsenault VE9CD, Jim Fisher VE1JF, Tom Sisk, Mike Masters VE1XDT, Bill Karle VE1YY and Dave Goodwin VE9CD. I would like to thank the organizing committee for another great event including Mike Johnson VE1MWJ, Kevin Burke VE1KEV, Bernie Cormier VE1BGC, Yvon Hachey VE1VON, George Dewar VY2GF. We would also like to thank the County of Cumberland, Heather Laurie Event Coordinator at the Community Centre, Joel Stone, Donald Bird, John Parsons and other staff for all their help throughout the day and made us feel at home. Last but not least a big Thank You to Treva Hebb and Jo-Ann Reynolds for looking after the Registration table and also helping to feed the hungry hams at lunch time. Greatly appreciated. Thanks for a great symposium. Great fun and very informative. Nice to meet so many fellow hams! As a speaker and participant at the first and second SMART, I praise the organizers, presenters, and participants for engendering a grand event two years in a row and an event that favourably compares to those of more 'well healed' organizations! A two day event sounds enticing. However, it needs to be weighed against the effect of added participant costs (e.g. : hotel, food, etc. costs) that might decrease the day 2 audience. As well, staging costs could double while revenue might not. SMART will do well to continue to emphasize the technical and scientific frontiers of the hobby by featuring content on VLF, LF, and u-wave communications; on SDR and DSP; on small computers (e.g. : Raspberry PI, Arduino, etc.) and microprocessors applications; and, weak signal and low SNR communications. Thank you. First, a great job done by the organizers and presenters. The topics were covered with thoroughness and expertise. The audio part needs some consideration. A wireless headset and microphone for use by the presenter would make a lot of sense even if it was rented for the occasion. Perhaps a link from the presenters title to another page that might describe the contents would be worthwhile. Looking forward to next years event. Hats off to the organizers and presenters for pulling off a real class act. I would like to comment on a suggestion made by Len VE9MY. I like the idea of having a synopsis available for each presentation posted online before the symposium. I have mixed feelings about making S.M.A.R.T a two day event, although I am open to being persuaded. Looking forward to next year. I learned a great deal at the symposium, and really enjoyed the social aspect as well. Superb presentations, esp by Bernie Cormier on EM noise and the MESH presentation. Also, displays in the lobby were excellent. I think the key is to avoid repetition each year. Great organization, venue, and BBQ. 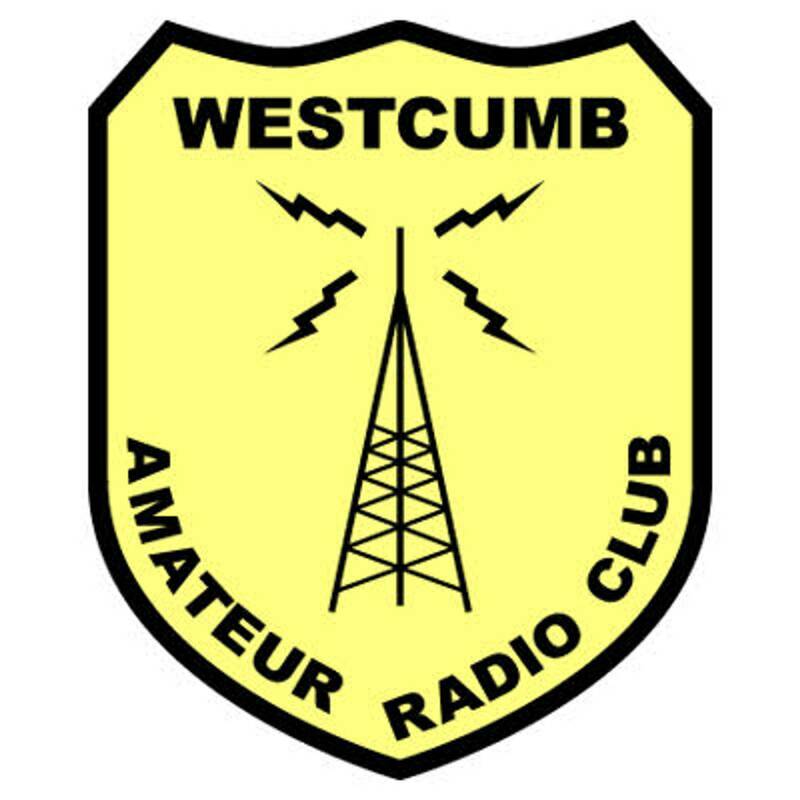 Thank you Westcumb for hosting what has become the premiere ham radio event in Atlantic Canada. I mostly attended sessions in room B. A basic mike & loudspeaker should be available to hear all the speakers discussion and audience questions. - A 2 day event would be welcomed. So many ham topics are available to enrich our hobby and community service. - Make sure that you charge enough to cover unexpected costs. - A possible topic for 2018 could be efficient portable operations, equipment, antennas, operational aids, etc. I would have liked the Microcontrolers to more Raspberry Pi and Arduino oriented. Great day, very well organized and certainly due to the hard work of the organizers. Would like to throw out another suggestion, that of making the vent a two-day event. I found I was having to decide between presentations, A or B and wanting to attend both. Having the presentations on the Web site will help in that matter. With an extended event, it would allow for possibly more presentations. For some time there has been some discussion on a combined area fleamarket. The SMART, could be the basis of such an event. I know it is easy to make suggestions without any thought of the logistics of such, but I am willing to help if it is felt this suggestion is viable. The SMART day was GREAT. The only suggestion I have would be two lines at the food tables(one on each side) and two tongs for people to do their own. Otherwise....perfect. Loved the time keeper. Great Planning. Well Done to the organizing committee for a excellent symposium. Location is excellent. As a presenter, it would of been nice to have a pointer. In the large room, the projector could be put further away from the screen in order to get a larger image. An excellent event in all respects. Congratulations to all the organizers and presenters. Everything is perfect. Enjoyed a lot. Thanks. 73. Great event again this year. Enjoyed the presentations I attended. I was wondering if it might be possible to get PPP or PDF files of the presentations made available that way we could at least get a chance to see what we missed in the presentations we were not able to attend. I agree with Doug VE1DFG the lady serving the burgers should have had rubber gloves and tongs. It truly was a great day, met lots of new amateurs took in some classes, and it was an honor to BBQ for some really awesome people. Cant wait to see what kind of plans we come up with for the 2018 one. Stay tuned.. and 73. What a fantastic day of interesting presentations with fellow hams! A big thank you to the organizing committee. The day was busy but not rushed. I have a page and a half of notes to check out online. Just one suggestion - some seating outside in the food area would have been helpful for the older amateurs. Most of us can stand, eat and chat though. Will look forward to next year's event. This venue is perfect for it. ~73 to all. Things went well. Registration would have been quicker and simpler if the lists and the piles of name tags if the lists and piles were in alphabetical order!! Perhaps a session on basic, every day operation for newbies could be considered for next year. Excellent day so congratulations. One note that bothers me and possibly more. The lady serving the food was doing so with her bare hands without any tongs or plastic gloves which is standard in serving to the public. Her hands may have been clean but it's not proper for the public. Great event, well organized and a terrific venue! Very fine experience! Congrats on the major increase in participation for the second year...bet attendance will continue to grow. Yvon was a great help to us presenters. Fantastic day, I am so happy I was able to attend this year - very well done! Thank you to the organizers for all your hard work and dedication, and to all the presenters for you time and great information. It was a personal delight for me to have a chance to meet fellow amateur operators and hear about your experiences and love of the hobby! Many thanks to all! A truly great event! Excellent facilities with lots of room and parking, great presentations and wonderful people. The sharing of information and interests is what makes amateur radio such a great hobby and the willingness of the radio community to generously volunteer their time for the enjoyment and education of all of us. Thank you! I wanted to thank you and everybody involved. This was a 1st for me and I truly had an amazing time. The presentations I attended were informative and the atmosphere was fun & engaging. Yesterday was an awesome day. Jim, Mike, Yvon, Kevin, George and many others really gave it all and the results speaks for itself. If I had to bring something out of the event is the feeling of how proud I am to be a member of the greatest hobby ever. I can't thank you enough for your devotion and good mature. We should get together soon for a debriefing while the event is still on our minds. Talk soon. It was a really great day! Thanks to you and the whole committee for putting on such a well-organized event Yvon and Jim. On behalf of the organisation committee of the 2017 SMART symposium I'd like to thank each of you for your participation this year. We've heard nothing but great comments from all those that have participated. We could not have done this without each of your participation. We've been asked to see if we could post each of your presentation on the Maritime amateur website for reference for those that attended the sessions. If you are ok with this, could you please forward your presentation to myself or Jim L and we'll get them posted. Should you have any comments or recommendation for future events, please send them our way and we'll discuss them at the committee level. Again, Thank you for your commitment and help to this endeavor. Really enjoyed the event yesterday.